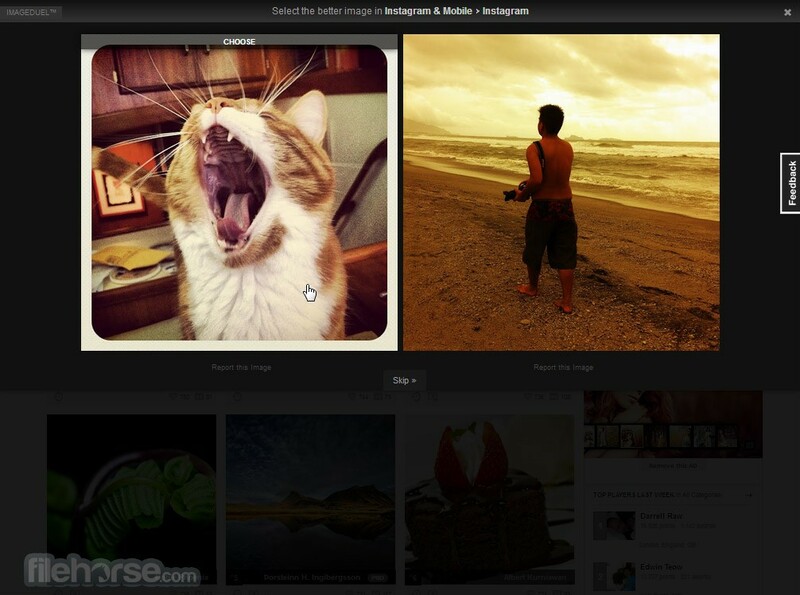 Pixoto is an online image gallery that has managed to attract attention of worldwide public in record time. The core basis of this web destination is a social network in which you can discover new pictures, meet countless people, and take part in competitions in which you can decide which pictures are the best. Pixoto offers it users not only the chance to discover fantastic images that are collected from photographers from all around the world, but it also provides you a community in which you can showcase your own images. With such large community and ability to showcase your images in numerous duels and galleries, your own works will surely receive attention in no time. Image sharing is becoming more popular with each passing day, enabling millions of people to easily convey not only what happened around them during each moment of their day, but to also showcase their skills as photographers. However, finding the best photos and things that will motivate you to perform better as photographer is not easy to find on social networks, which is why many sites have dedicated themselves to host the photos made by professional photographers. 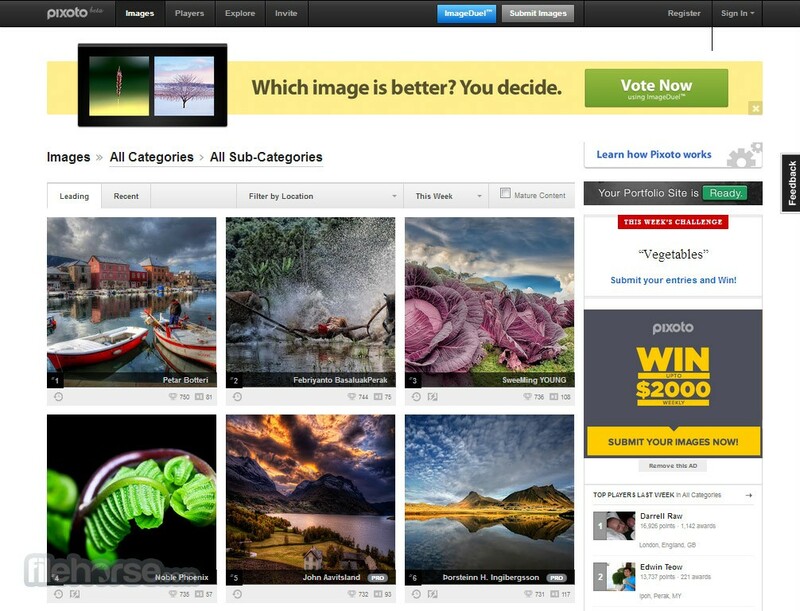 One of the most popular places on the web for just that is Pixoto, great community for image lovers that enable users not only to explore tremendous categories of photo content, but also to easily sell and purchase photos of the highest quality. Pixoto is an online image hosting platform that has managed to provide users not only with the great hosting tools, dashboards and galleries that could be accessed by public, but also giving users great tools and incentives for registered users to upload only the very best images. 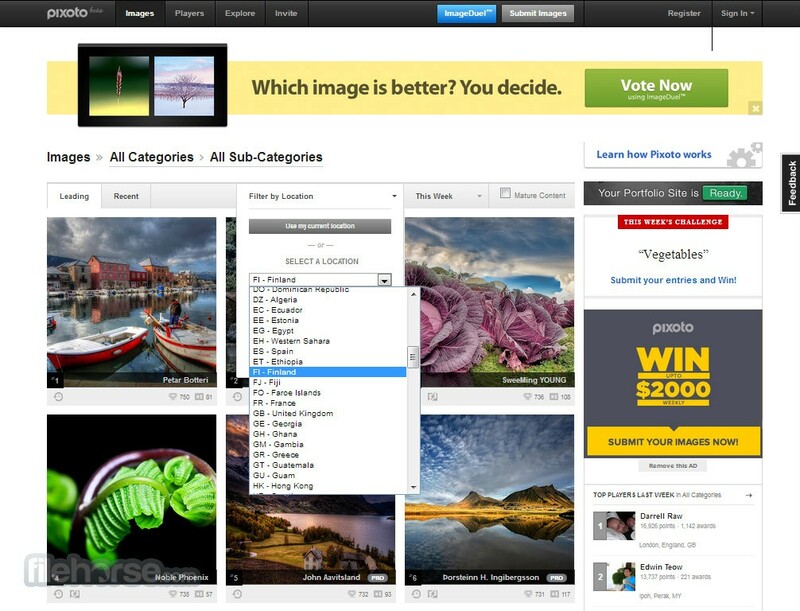 This was done with the completely integrated competition feature called ImageDuel system that allows entire community of Pixoto to vote and rank all images in the individual duels that are determined by the powerful Pixoto algorithms, eventually enabling those images to reach top spots in the promotions of each photo categories. This spirit of the competition has enabled Pixoto to become home of some of the best photographs you can find online today (even though photos are representing vast majority of Pixoto’s content, hand drawn images, illustrations and digitally created images have their presence felt in their separate categories). However competition, community interactions, rankings, and other forms of entertainment serve only to be a foundation to the much more serious set of features. Users who host their images on Pixoto can also sell them, managing their own e-commerce business with very little limitations. By having this professional touch to the Pixoto, its registered user base receives even better focus on quality, trying their best to produce as best content as possible and enabling visitors to the site to witness truly phenomenal content that is arranged inside very modern, attractive and easy to use interface. 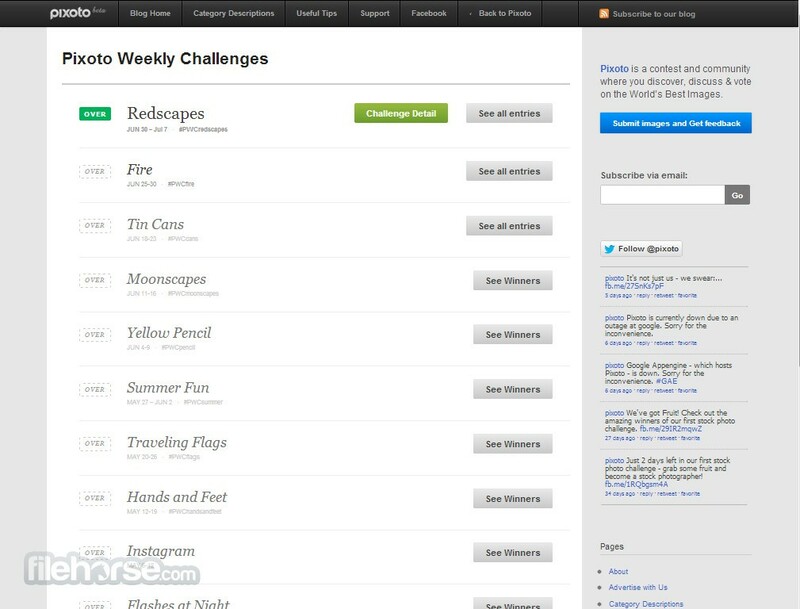 Interface of Pixoto is very well designed, perfectly crafted to support community that is interested in not only hosting , showcasing and discovering new photos, but also communicating, ranking, voting, and having direct impact in which photos will be showcased on main page and main pages of all photo categories. Main page of the site offers quick breakdown of the most popular images, offers for current sales, and ability to easily search its image database or submit your first image. 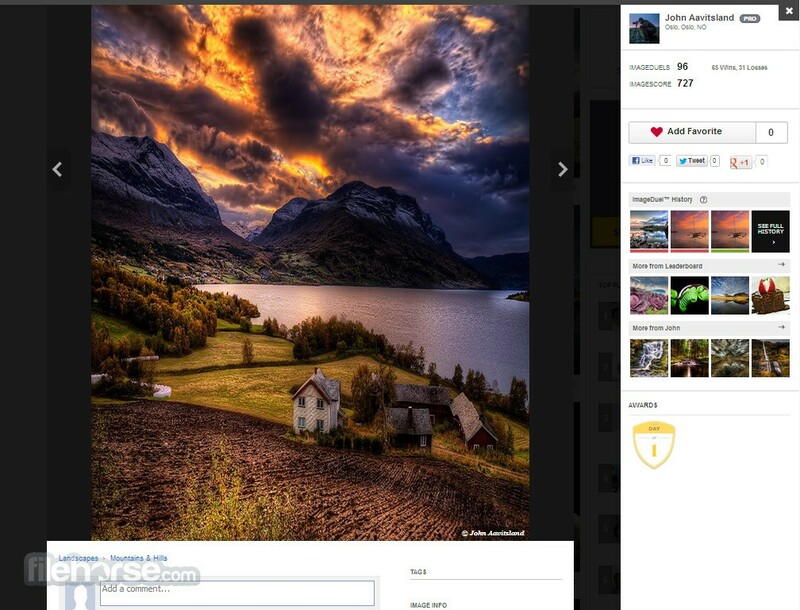 With very easy registration process (Facebook credentials button) anyone can easily start publishing images on Pixoto. Pixoto is a 100% free service. No matter if you are amateur photographer, professional photographer, casual user who is looking for inspiration or user who wants to purchase images for his projects or his own art collection, Pixoto is a perfect pale for anyone who is interested in photography or hand drawn art.